Sometimes the most simple tasks can be difficult to perform, whether due to exhaustion, inability to lift something or an inability to be standing for an extended period of time. These simple tasks are part of our lives and in some cases are necessary for our day to day existence. We can either struggle to do these things on our own, or get them done much more quickly and successfully with the help of someone else. Take something as simple as laundry, for example. How are we to complete this basic chore alone if doing so is too difficult for us? At Your Healing Touch, we proudly serve Central Indiana with home personal care services. 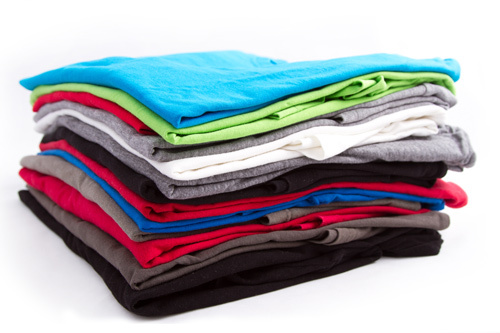 In addition to things like companionship and meal preparation, we also can also help you or your loved one with basic day to day tasks like laundry. Think about it — we spend so much time in our clothes, in our beds, using towels, blankets and the like. The minor amount of work that it takes to wash these items makes a world of difference. Not being able to do these things ourselves, however, can not only prove to be problematic, but also frustrating. There’s nothing quite like getting into a bed that’s made with freshly washed bedding. Putting on a just-laundered shirt or pair of pants is nothing short of delightful. Getting out of the shower and wrapping yourself in a delightfully clean towel is one of life’s little joys. All of these things come from being able to launder our clothing, bedding and other personal items, and not being able to do these things strips us of these pleasures. Thanks to the professionals at Your Healing Touch, you don’t have to worry about not being able to do your laundry or struggling while attempting to do so. While you may be partly able to do these tasks on your own, leave it to our experienced professionals to help you out with tasks like this so you can continue living your life the way you want to live it, free of obstacles and the frustrations that come with them. At Your Healing Touch, we are committed to providing Central Indiana with top level in-home personal care services, including companionship, meal preparation, medication reminders, and many others. If you or your loved one is in need of home personal care assistance, Your Healing Touch is here to help. There’s no reason to let these obstacles interfere with your everyday life. Contact Your Healing Touch today.